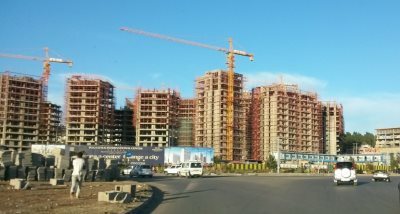 AFRICANGLOBE – The Ethiopian capital Addis Ababa is going through one of the fastest rates of urban growth in the world. In Amharic ‘Addis Ababa’ means ‘new flower’, and Menelik II founded the city at the end of the 19th century. For much of its history, Addis was a small town, at the centre of an ancient empire. 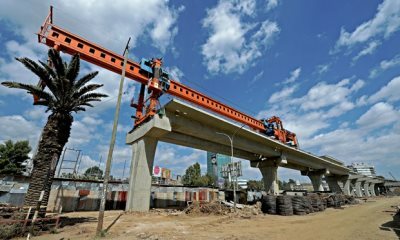 Ethiopia has transformed itself over the past decade, and will now spend the equivalent of 10% of its GDP annually on infrastructure projects over the course of the next decade. It has also massively reduced poverty – according to the World Bank, Ethiopia reduced its poverty levels by 33% since 2000, in large part because of its consistent economic growth and agricultural investment, and what the bank described as Ethiopia’s “pro-poor” investments. Even so, it seems little can dampen the good mood music in the city. Business confidence is growing. In one of the swanky hotel bars in the Bole area I met a group of Dutch, British and South African brewery specialists who were in Addis Ababa for ‘opportunities’ in the beer industry. One man, an Afrikaner from South Africa, spoke about how Ethiopia was ‘opening up’; and with its large population, like in Nigeria where he had worked previously, it provided ample opportunities for the multinational beer company he worked for. They had bought up smaller beer companies across the continent – something other companies did not do, he said, a strategic error. His colleague, a Dutch man, shook his head, saying ‘Heineken passed on an opportunity’. Now, he says, many European beer companies are keen to get a slice of the growing purchasing power of the Ethiopian middle classes. In a city littered with hundreds of bars, it’s easy to see why Africa’s second most populous nation would draw in the investors. The Taitu Hotel, one of the most famous landmarks of the city ever since it was built in the early 1900s, burned down in January. It was depicted in Evelyn Waugh’s 1938 satirical novel Scoop, and later was home to the Jazzamba Lounge, part of the legendary 1960s/70s Ethio-Jazz scene. In some ways, Taitu was a symbol of old Addis that’s disappearing under the weight of progress. In fact, the EPRDF and its allies won every single seat. The opposition does not have a single MP. These election results did not provoke much of a reaction in Western countries, only the occasional press release stating their ‘disappointment’. Ethiopia is today not so much an aid darling but a model of development, something outsiders are keen to focus on.